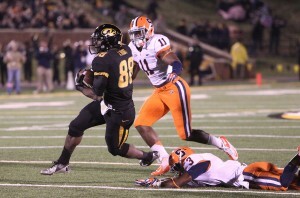 Syracuse quarterback Ryan Nassib threw for 178 yards and two touchdowns in the fourth quarter, including a 17 yard strike to Alec Lemon on blown coverage with 20 seconds left as the Orange defeated the Missouri Tigers 31-27 on Senior Night at Faurot Field. 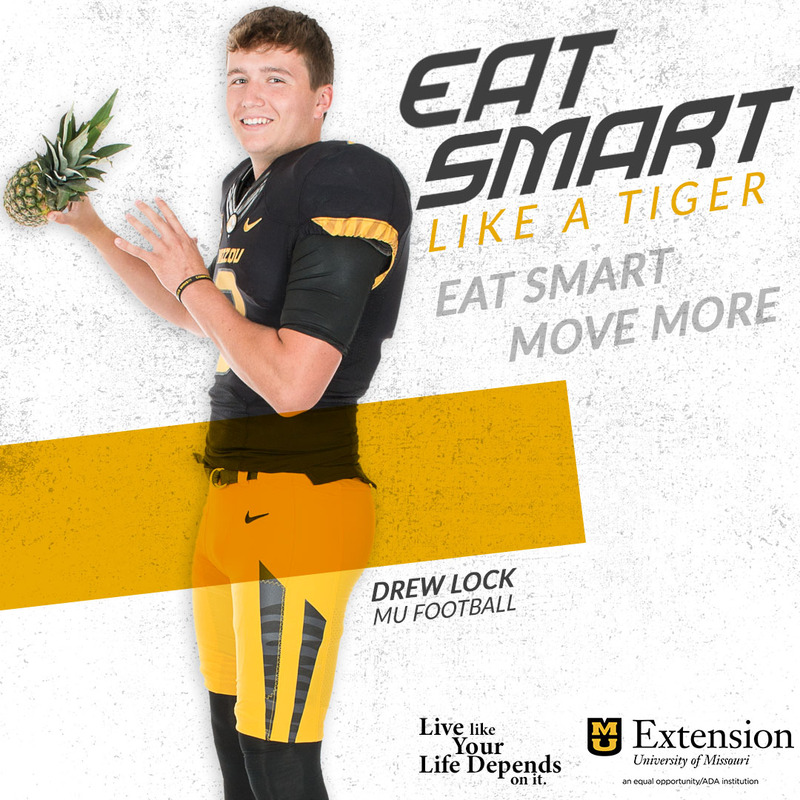 The loss leaves Mizzou one win away from becoming bowl eligible. Syracuse scored three times in the fourth quarter after trailing 17-10. Despite Nassib’s ability to move the Orange offense, the Tigers adjusted and played well through three quarters. However, in the last fifteen minutes, it all went south on both sides of the ball. The Tigers had no problems moving the ball on offense, but when it came down to third and short yardage, Syracuse came up big. James Franklin threw for 279 yards, but left in the fourth quarter after getting dinged up on a hit. Coach Gary Pinkel would not confirm, but I’m under the assumption Franklin was hurt when he tried to scramble on a third and one from the Syracuse 22. He lost two yards and Andrew Baggett missed a 42 yard field goal that would have put Mizzou up by ten. Corbin Berstresser came on in relief and was firing right away as he hit Marcus Lucas for a 38 yard gain and then found T.J. Moe for 27 more, setting up a three yard run by Kendial Lawrence that put the Tigers up 24-17. Moe in a good mood after the game. After Syracuse tied it on a seven play, 75 yard drive in just 1:34, Mizzou punted on their next possession, but on a first down, Randy Ponder picked up Nassib giving the Tigers the ball at midfield. The Tigers drove down inside the 30 and had to settle for a Baggett 46 yard field goal after Lawrence lost three yards on a third and one from the 25. Nassib was 12 of 20 in the fourth quarter. He became the Orange’s career leader in passing yards. 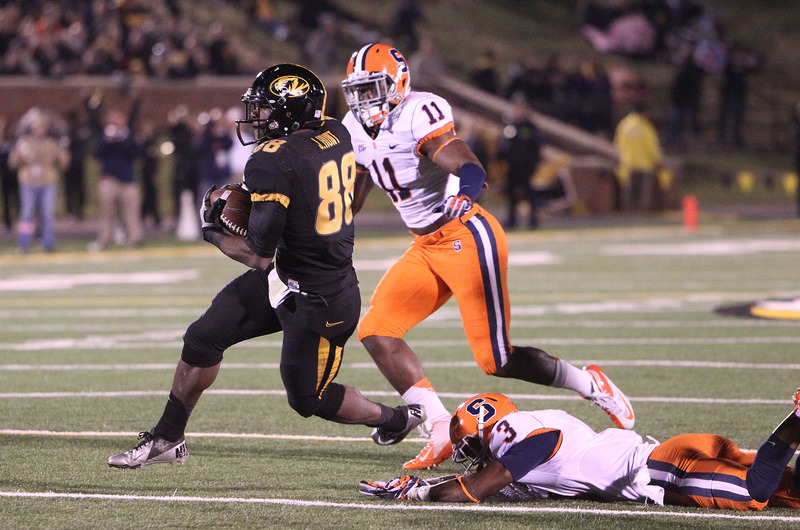 On a 4th and 10 from the Missouri 36, Nassib hit Lemon for 19 yards and a first down. Lemon had four catches on that final drive for all 81 yards of the drive. Franklin started out strong for the Tigers, as he completed 10 of his first 12 passes for 200 yards including touchdown passes of 70 and 30. On the fourth play from scrimmage, Franklin threw a screen to Dorial Green-Beckham, who sprinted down the sideline after getting blocks from T.J. Moe and Elvis Fisher. After giving up a 44 yard field goal, Franklin went back to work and drove Mizzou down 75 yards capping the drive with a 30 yard touchdown pass to Jimmie Hunt on a 3rd and 19 play. Franklin looked the healthiest and most confident that he has all season.